View More In Bathroom Trays. Draizee will make your bath experience much more enjoyable with this luxury bath caddy. It is made of bamboo and has a teak design that will look great with any bathroom interior style. It has a phone holder, a book or magazine space, a soap dish and so on. It can be used for bathing babies too and etc. An Essential Piece for Long & Relaxing Baths! Bathtub shower caddy that can hold different kinds of items at the same time. 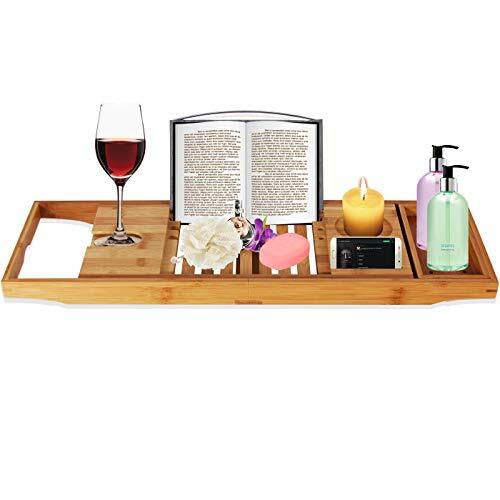 It has a tablet holder, wine glass slot, cellphone slot, soap tray and book holder. Can hold other things too like spa essentials and more! If you have any questions about this product by Draizee, contact us by completing and submitting the form below. If you are looking for a specif part number, please include it with your message.